Few TV series have succeeded in capturingviewers’ attention and interest for numerous seasons. One of the reasons isbecause fans lose interest in the storyline. Younger fans who have grown upwatching an animated TV series, in particular, often outgrow them and move on.The team at Turner Broadcasting, owner of Cartoon Network, had its own concernswhen it was launching the new season of Ben 10. Having undergone a refresh in 2016, TurnerBroadcasting wanted to ensure the latest season would appeal to the youngergeneration, as well as regenerate interest among existing fans. This led it to unveil the “Rise of Vilgax”campaign, which enabled Turner Broadcasting to win gold – Best ProgrammePromotion; bronze – Best Media Solution – Integrated Media; and bronze – BestMedia Solution – Social Media Campaign at The Spark Awards 2018. This post was done in conjunction withTurner. How do you relaunch an old and established,but popular brand that is showing signs of fatigue? Especially to a targetaudience that is notoriously hard to reach, that is, kids aged nine to 14? Notonly are they incredibly busy with school, extra classes and sports, theiraccess is also heavily guarded by protective parents. The Cartoon Network team was faced withthis dilemma when tasked to launch the new season of Ben 10 –a long-running animated TV series which has been on air for 13 years. Theseries was recently refreshed in 2016, and alongside the new season launches,the team was tasked to reinvigorate existing multigenerational fans around thefranchise, as well as find ways to introduce Ben 10 to a newand younger audience. Children these days are overloaded with entertainmentchoices – from games, apps and television to YouTube and Facebook, amongothers. As such, a traditional two-dimensional marketing campaign was not goingto move the needle. Based on Cartoon Network’s “New GenerationsResearch” results, it was found that children wanted experiences that wentbeyond just passive viewing. They wanted to be more involved, play more, createmore and own their own journey with the content. With this in mind, the teamconceptualised a movement using a multi-faceted omni-platform experience thatwas able to bring the story of Ben 10 to life. The “Rise of Vilgax” campaign was born andfrom there the team’s key objective was to build brand awareness, raise overallviewership of the Cartoon Network channel in the key markets of Singapore,Malaysia and the Philippines, and improve Cartoon Network Asia’s web traffic,digital and social performance. Rise of Vilgax offered a layeredmulti-platform storyline that ran across the Cartoon Network’s linear channel,website, Facebook and YouTube page. At the heart of the execution, the campaigncreated an experience that children would want to follow day by day inreal-time. They were in it together with Ben 10 and had theability to control an outcome and play the role of a hero to “save theworld”, giving them the opportunity to become emotionally invested in Ben’sjourney. The campaign was built to satisfy twocontent needs – to give children something to explore and to expressthemselves. Together, Cartoon Network’s omni-channel marketing team, in-housecreative, digital and social media experts executed the campaign over 12 daysfrom 10 to 24 February 2018. Tapping into Cartoon Network’s huge socialfan base of 3.3 million on the Asia Facebook page, Cartoon Network issued acall for help via a Facebook Live broadcast, asking fans to help Ben as heprepared to take on Vilgax in a final showdown. To do this, Ben had to first “omni-enhance”his aliens, making them bigger, faster and stronger for battle. Over 10 days,children were asked to participate in daily challenges, each of which wasthemed by a selected alien. The challenge required participants to worktogether to rely on their wit, creativity or speed to complete. Once completed,the new omni-enhanced alien was released. To further give children the abilityto control the campaign outcome, they were also able to vote for the alien thatthey wanted to see help Ben in his final battle. The top three aliens from the poll wereeventually picked and featured in a stop motion animation battle launchedexclusively on Facebook canvas. This led the storyline back into the launch ofa new season of Ben 10 on Cartoon Network on linear platforms reaching over 7.4million households. 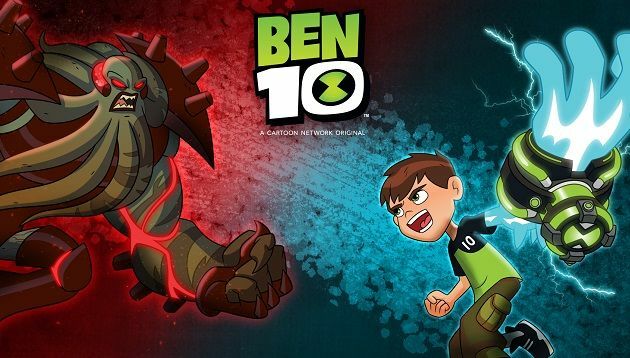 Alongside this campaign, in order to encouragefurther engagement, the Ben 10 chatbot was launched, answeringall questions about Ben 10, his aliens and his fight with Vilgax. The Rise of Vilgax campaign was successfulin reinvigorating and relaunching interest in a long-running franchise onCartoon Network both in the existing fan base that grew up watching him and ina new generation of audiences. Most importantly, it also showcased the strengthand effectiveness of using authentic storytelling to speak to fans. Following the campaign, the Cartoon NetworkTV Channel saw a spike in ratings and viewership in Singapore, Malaysia and thePhilippines and key digital objectives were also met with tremendous engagementacross multiple digital platforms. · Page views increased by more than 83%. · Visitors increased by more than 27%. · Unique visitors increased by more than 25%. · Dedicated Ben 10 show pageviews, visitors and unique visitors increased by over 94%. · Nine million-plus total impressions. · Six million-plus total reach. · 416,000 plus total engagement. · More than 160,000 total views. · More than 15,000 new subscribers. The success of Ben 10 continuesto grow in Singapore, Malaysia and the Philippines with Ben 10’stouch-points increasing from 10 million in Q1 2018 to 13 million Q2 2018. Thisincreased interest from partners, distributors and, most importantly fans,continuing to prove it is a strong Cartoon Network brand that is able to stayrelatable and exciting to new and young audiences.